Anti-piracy organization BREIN has forced the XvBMC-NL Kodi addon repository to be shut down through lawsuit threats over copyright infringement. The developer of XvBMC-NL will now be asked to abstain from posting the repository elsewhere and will have to pay a penalty of 2,500 euros for legal settlement. The repository contained popular add-ons that allowed users access to illegal streams which host pirated content. The XvBMC-NL repository on GitHub was known for its large collection of Kodi addons that accumulated thousands of downloads. 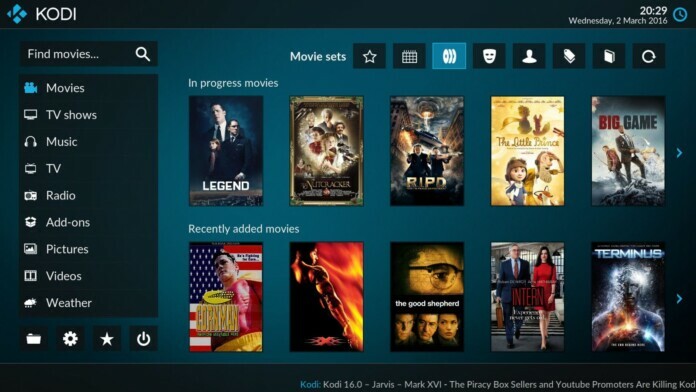 While Kodi as a platform is completely legal, it is very easy to modify the software to host piracy-enabling addons for viewing paid content for free. A copyright infringement warning was filed by anti-piracy organization BREIN against XvBMC-NL. The owner of the repository will now have to pay 2,500 euros for settling the lawsuit and will have to sign a legal agreement to abstain from reopening the repository and any copyright infringing activities in the future. The XvBMC-NL developer was visited by bailiffs send by BREIN in July to submit a settlement offer. The anti-piracy organization allowed the developer to settle the matter outside of court or face a long-drawn lawsuit in the Netherlands. The Kodi repository owner chose not to take matters to court and will be abiding by BREIN’s terms. More abstention agreements of similar nature are likely to be submitted against other developers in the near future. 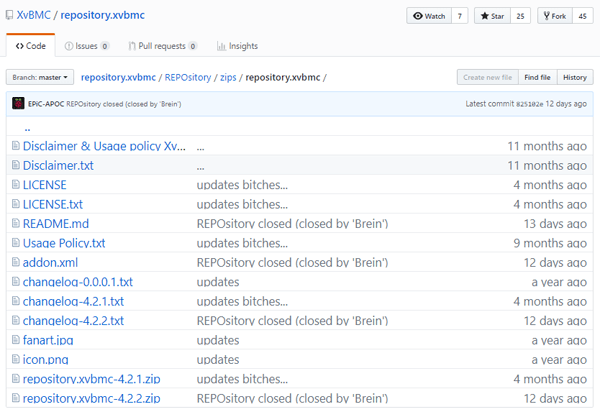 XvBMC-NL’s developer has already shut down the Facebook and GitHub pages. The repo has been retained by BREIN to prevent hijacking. With entertainment industry members making a move against unauthorized content more aggressively than ever, Kodi is one of the last remaining platforms which allows copyright infringing content through the use of illegal add-ons. BREIN is attempting to take down all repositories that host pirate add-ons in the Netherlands over the coming months. What do you think about the removal of XvBMC-NL’s Kodi addon repository? Let us know in the comments below. Also, to get instant tech updates, follow TechNadu’s Facebook page, and Twitter handle.